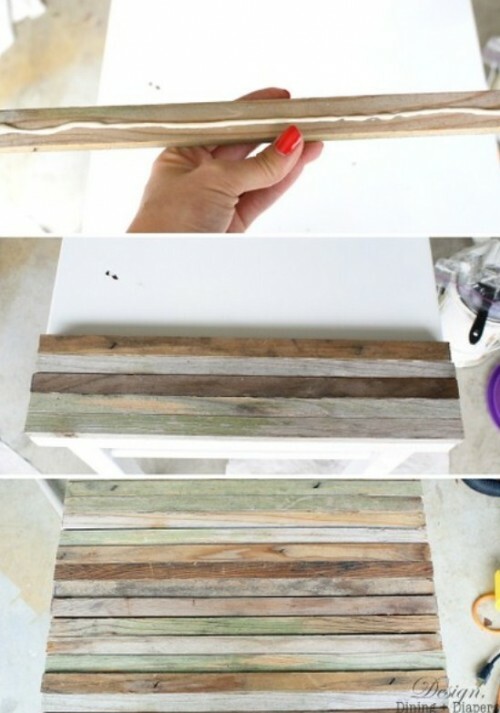 Wanna renovate your old side table into something cool? Here’s an idea for you. 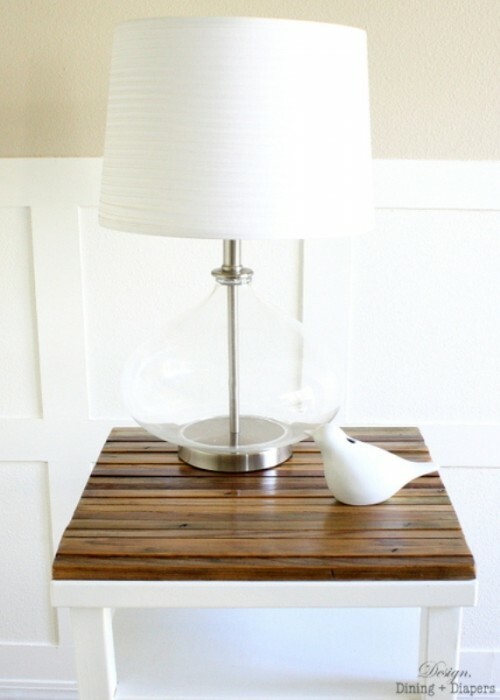 You’ll need some old distressed wood, spray paint and your old side table. 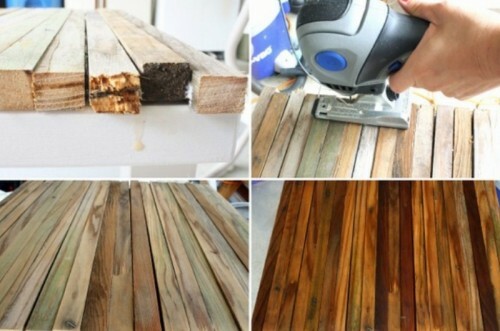 First apply one coat of spray, take the trellis apart and cut it into 17″ pieces. Give the top of the table a good scrub and then lay it out to dry. 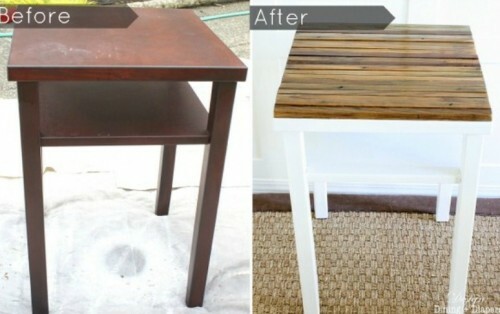 Using Gorilla Glue glue each piece of wood onto the top of the side table. 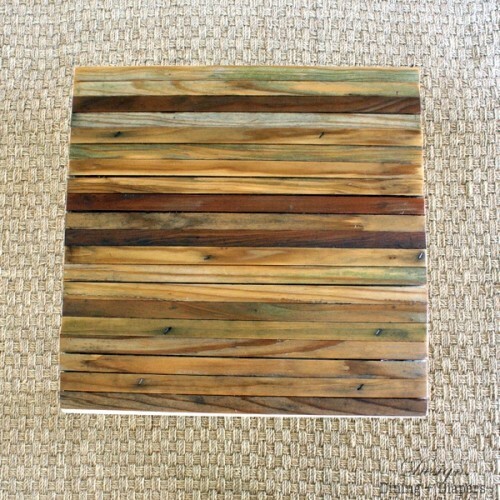 Let the natural colors of wood create their own pattern. Align the wood on the left side of the table, and if your cuts aren’t perfect. After the glue was dries, use Dremel to make one clean cut to even out the edges. Next, gently sand the wood with an electric hand sander and then gave it 3 coats of Semi-Gloss Sealer. Enjoy!